A dear friend sent me an article recently which struck a chord. The author spoke of a life event causing them to live in shame for four years. With this came the realization they deserved a degree in shame. After spending more than a week mulling this over, it occurred to me I deserve a PH.D in shame. Frankly it shames me to admit my shame. Put the mantle on my shoulders, crown me with guilt, and award me the sheep skin of shame---I am an expert. In my thinking it is God's way of nudging us and reminding us we are wrong. Shame helps keep an orderly society. When one is unable to feel shame, they become classified as a sociopath in the world of psychobabble and anyone in the path of the sociopath should beware! The concept of shame was introduced when I was a child. I remember mis-behaving and being scolded with the words, "Shame on you." Hang your head, cast your eyes upon the floor and slowly fade from the room shame. I am certain I deserved the scolding, but heaping shame upon my head, while it certainly worked, began a life long habit of clinging to the shame. In many cases we are only shamed when we are caught--that "GOT YOU" moment fills us with shame. We feel no shame for speeding until the officer walks up to our window and tells us how fast we were going. THEN we feel so bad for our supposedly uncustomary heavy foot. After years of preparing tax returns for clients, I can promise you there was NEVER any shame expressed with getting away with stretching the eligible deductions. Shame was only admitted when the auditor called your hand on your creative accounting practices. Currently I struggle with the shame of the designation of "Divorced". Check out all kinds of forms and documents you fill in for information. 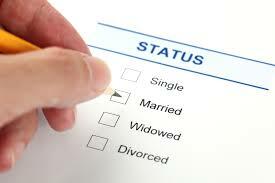 You are married, single, widowed or divorced--with no slot for any explanation. We are not allowed to forget that we failed in the marriage department--society reminds us of it over and over. There is no gentle way to say I once was married, but no longer---and unless we remarry--we carry that harsh designation with us to our graves. What I was reminded of from the article is by carrying around this mantle of shame, I am denying God's forgiveness. If I follow the steps The Word gives us to reconciliation of a wrong, then God forgives me. He has forgotten my sin---and I am denying what He has done for me by refusing to leave the mantle of shame behind. I am discounting and denying what He has done by forgiving me by tenaciously clinging to my shame. God does not want us to live under the mantle of shame, but instead walk with our eyes raised to Him from whom our hope comes. With most things in life, when I am unable to make a change on my own, it is time to turn up the prayers. God has faithfully answered my prayers--and when I am praying according to His will--He has answered in the affirmative. When I admit my inability under my own power to make the changes I know He desires for me, He will give me the strength and ability--if I only ask. His grace is sufficient to allow me to leave the shame behind and live in the peace that passes all understanding. In this life, forgiveness is rarely given without having to pay a price. Sometimes the price is repayment of some kind, a fine, or even prison. And in some cases the price of forgiveness is shame. 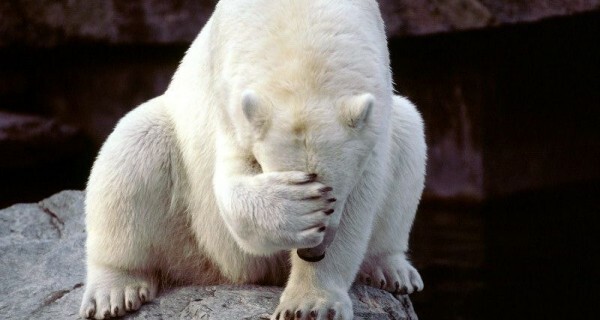 The shame of having done something wrong and, as you say, being found out. In God's eyes, when forgiveness is given, the sin or wrong-doing is forgotten. There should no longer be any shame. The slate is wiped clean and we move on "to sin no more" as He told the adulteress brought before Him. If we carry the guilt and shame still with us, it is because we have not accepted His forgiveness. And that itself, is a sin against Him. Shame should be our warning signal that we are going in the wrong direction. BUT--it flies in the face of what God has done for us when we continue to wear the mantle of shame after He has forgiven us. The world keeps us humble--without an extra dose of shame!